Welcome to Shape of Things Art Gallery, your resource for quality art, prints and handmade jewelry. We pride ourselves on the unique variety of styles that we provide our customers. Our selection of original art and prints are available on a range of mediums for you to choose from. We receive our jewelry and art from local artists in Houston as part of our efforts to support individuals here in the community. 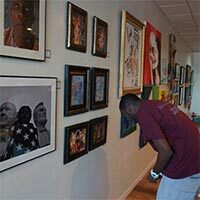 The art we carry is featured in a wide array of venues and, since it comes from working local artists, you can always expect a unique selection of pieces available for viewing and print. All jewelry for sale is handcrafted for a singular style you won’t see imitated elsewhere. 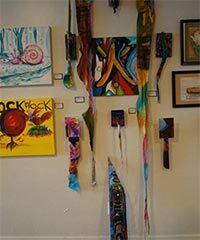 Your neighborhood Houston art gallery is here to serve art enthusiasts seeking one-of-a-kind art to display in their choice of medium, whether printed on acid-free paper or an artistic t-shirt. By choosing Shape of Things as your art resource, you are choosing to support a Houston local artist with everypurchase. 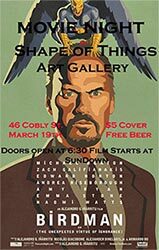 Shape of Things selects quality, original art to display and print. No matter what your style, our collection provides a range of options you won’t find anywhere else. Our goal is to be the premier resource for original and printed art in various formats. Simply visit our gallery to see beautiful original art and competitively priced prints. Choose from our handcrafted jewelry for elegant pieces that will set you apart from the crowd. The display of jewelry at Shape of Things is a form of art in itself that is only enhanced by the owner. When you are looking for a piece that speaks to you and your taste, start with Shape of Things Art Gallery in Houston. We are certain that you’ll find the piece that suits your style. Art Gallery, Art Galleries, Artwork, Artwork Gallery, Art Center, Art Centers, Art Print, Art Prints, Artist, Artists and much more.